After a fierce battle with Draewulf, Nym barely escaped with her life. Now, fleeing the scorched landscape of Tulla, her storm-summoning abilities are returning; only...the dark power is still inside her. 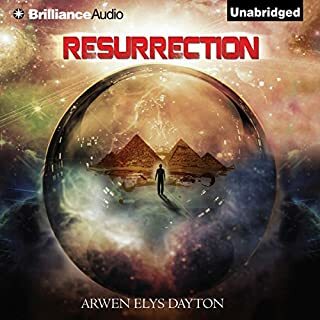 Broken and bloodied, Nym needs time to recover, but when the full scope of the shape-shifter's horrific plot is revealed, the strong-willed Elemental must race across the Hidden Lands and warn the other kingdoms before Draewulf's final attack. I actually didn't finish listening to this book. I stopped about halfway through because I just didn't get into it. I can't say that I really liked Nym, or any of the characters, really. They were all so flat that I couldn't care about what happened. I'm sure they will save the world and live happily ever after, but it doesn't matter how they get there. I only gave this book two stars because I loved the first book. The second book was OK, but it rapidly went downhill. It was trying too hard to be interesting and complex, when it should have been more concerned with character development. Quin Kincaid is a Seeker. Her legacy is an honor, an ancient role passed down for generations. But what she learned on her Oath night changed her world forever. Quin pledged her life to deception. Her legacy as a Seeker is not noble but savage. Her father - a killer. Her uncle - a liar. Her mother - a casualty. And the boy she once loved is out for vengeance, with her family in his sights. Traveler was better than its predecessor, I’ll give it that. But I came into the book with such low expectations from the first, that I’m likely grading on a curve. Shinobu and Quin are back in Hong Kong, but this time it’s Shinobu who’s on the mend after the latest battle. They're being hunted by a strange duo who have all the attributes of Seekers, but aren't Seekers. The boys are after the athame of the Dreads that was given to Quin. But again, we readers are left wondering…why? Although the details are starting to trickle in thanks to Catherine’s journal, there are still WAY more questions than answers. Apparently, history is getting ready to repeat itself. There are several more POVs in this book, so now we have Quin, Shinobu, John, Maud (the Young Dread), Nott (one of the boys hunting Quin and Shinobu), and Catherine (told from past, as Catherine is John’s dead mother). While these POVs certainly help shed some light on WTH is going on, the constant shift of characters is jarring. The story gets a lot more complex, from Seeker to Traveler, which I’m still not sure is a good thing. The Middle Dread is dead, but he built an army of young boys called Watchers who will stop at nothing to get the athame from Quin. Moving on to the romance aspect, I cannot even tell you how glad I am that there is no love triangle. There was the hint of one in Seeker, where John and Shinobu are both presented as potential love interests. But in this book, it's all Shinobu, and it's almost impossible for John to make an appearance as a love interest, given his complete despicability as a person. I like how defined and definite Shinobu and Quin's relationship feels. It is very solid in this book and thankfully, Quin has the good sense to tell John where to shove it when he tries to crawl back to her, claiming to be deeply in love with her (despite the fact that he kidnapped Quin’s mother, beats Quin on more than three occasions, and facilitated the death of Shinobu’s father). The ending is predictable, but has a pretty decent cliffhanger. I continue to have mixed feelings about this series. I absolutely did not like the first book. 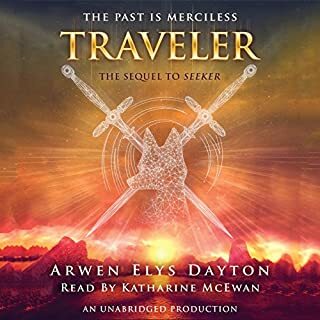 Reading Traveler was less of a struggle than Seeker and I enjoyed it from time to time. There were also more answers in Traveler and it starts to make sense, which makes this book much more enjoyable. The night Quin Kincaid takes her Oath, she will become what she has trained to be her entire life. She will become a Seeker. This is her legacy, and it is an honor. As a Seeker, Quin will fight beside her two closest companions, Shinobu and John, to protect the weak and the wronged. Together they will stand for light in a shadowy world. And she'll be with the boy she loves - who's also her best friend. This book had the potential to be great. But the complete lack of details and random POV jumping makes it fantastically nonsensical and dull. Even the locations and time are barely understandable. The world is a bizarre mix of steampunk, futuristic, and the Karate Kid. Some SPOILERS ahead...beware. The biggest problem with the story is that, from beginning to end, I had no clue what was going on. Apparently, there are three kids in Scotland training to be Seekers. 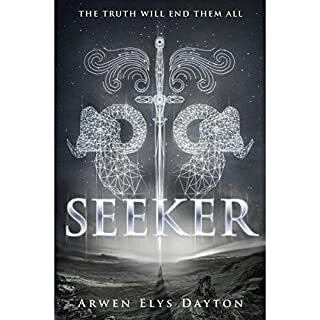 What is a Seeker, you ask? I wish I could tell you. It is NEVER explained! It appears to have some kind of lofty, noble purpose, but the realities are something far more sinister. That's about all I could get. There's some fighting and some very jarring POV changes that also make no sense. Then we jump ahead in time by 18 months and things make even LESS sense. 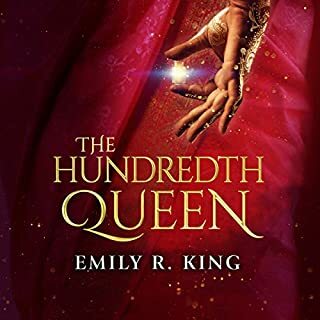 1) Quin, the idealistic, doe-eyed FMC, who has an idealized view of what her life is going to be, and yet she blindly follows her (apparently) blood-thirsty father and his quest for...whatever the hell he's questing for. Then she jumps ahead 18 months with a new life and no memory. Wow. 2) Shinobu, the afterthought. Again, he has a lofty idea of his future as a Seeker. But when things don't go his way, he dives into drugs to forget the girl he professes to love and the life he had fought to have. Sure. 3) John, the love interest of Quin. Claims to be madly, passionately in love with Quin, yet he apparently has no qualms about sending men to physically brutalize her, even taking a few shots himself, just to get what he wants. He wants what he believes is rightfully his (again, we're given ZERO details about what those things might be). 4) Maud (aka, the Young Dread) is a spineless, brainless mook. Oh, are you wondering what a Dread is? Me too. From what I can glean, they're a trio of normal folks who sleep for a few centuries at a time and wake up to act like the Archbishop of Canterbury to knight a few Seekers every now and then. The writing is very weak. The dialogue is clumsy and feels very forced at times. There’s a lot of telling, and not enough showing. There are so many strange happenings with such little explanation that you remain frustrated from beginning to end. If you're looking for a synopsis of this book, here it is: Shiny stone knife thing. Distant cousin love triangle. Abusive murderous father. Drug-addictive, prostitute mother. Physical abuse. That's about about it. This is a bit of a spoiler, so if you haven't read/listened yet, don't read this. 3. Evie is a powerless, spineless moron - this back and forth (ad naseum) between Aric and Jack is soooooo eye-rollingly boring; you don't need five books to solve a love triangle (and yet, KC seems to want to drag it across six). At this point, I have no preference over which guy gets chosen, just PICK ALREADY!!! 4. The Chariot's story line made less than zero sense. It seems like it was thrown in there as filler and played no part in the advancement of the plot. 5. What was the point of the Minors? At this point in the "apocalypse" there are so few people left on the planet, yet people are getting murdered right and left. These beings are around to solely "move the game along," and yet they have to have their own conspiracy. It's completely exhausting. I really hope the next book is the last one. This was a good book, but the author was horrible. Her monotonous recitation of the story was like listening to someone read the phone book. And, like most of the other reviewers, it was annoying that she didn't even try to differentiate vocal intonations with different characters. All the men sounded like women and all of the women sounded like they were 80. I was really excited when I started this. I thought I would be reading about a kick-a$$ heroine who fought the status quo to change the world. Boy, was I wrong. I entered a world where women are bought and sold like chattel, and are forced to battle one another for their place in the world and for the entertainment of men. And do the women rail against this injustice? Nope...they train to fight one another and accept their fate like the pets they are. Ugh! The main character is Kalinda, who appears to look down on the girl-on-girl fighting...but her heart's desire is to stay in the mountains and train other women to continue their legacy. Instead, she's selected to be the wife of the King D-Bag and must fight to win the "honor" of being the Rajah's 100th wife. The only thing that was enjoyable about this was the scenery descriptions. King really brought her world to life in her descriptions. The way women were treated REALLY bothered me, but I appreciate how the author calls attention to the wrongness of it. But the rest of the book was very disjointed. The romance was developed way too quickly, with no rationale or emotional buildup. The antagonists (the Kindred, the General, and of course, the Rajah) felt too scripted. They were fully one-dimensional...evil and selfish with none of that pesky moral ambiguity. I don't have high hopes for the next two books, but I still plan to read them. I wasn't sure I would like this book...I've never really been drawn to aliens and space-wars, etc. But I was pleasantly surprised with this book. Good characters (including the ones you love to hate! ), good plot. My only complaint is that the story felt too rushed. Trying to build a backstory, as well as a thoroughly constructed plotline in the present is too much to try and do in a single book. The challenges were all wrapped up very quickly and neatly, with very little muss/fuss. I guess I like my plots to be a little more "twisty." Overall, this is definitely worth the listen. 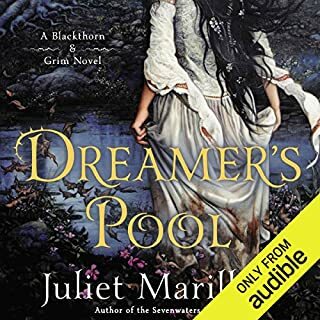 Juliet Marillier is, far and away, one of my favorite authors. This book was utterly spellbinding. JM has a remarkable talent for creating worlds that alight the mind and invoke all the senses. Blackthorn is a woman imprisoned for speaking out against a wicked and corrupt chieftain. Denied her right to a defense, she is scheduled to be executed. 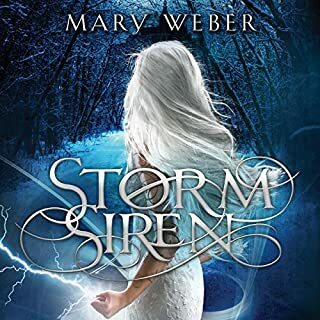 Before her sentence can be carried out, she is visited by a Fae, who offers her a chance to escape in exchange for her promise to set aside her desire for vengeance. Reluctantly, Blackthorn agrees and makes her way north to Dalriada to start her new life. She is trailed by her fellow prisoner and escapee Grim, a hulking giant with a strong sense of loyalty and a heart as big as he is. 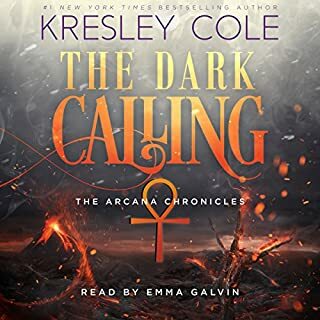 Bound by her vow, Blackthorn is unable to turn away anyone who asks her for help, and reluctantly agrees to Grim’s request to accompany her on her journey. Meanwhile in Dalriada, Crown Prince Oran is being pressured to wed. He is an intelligent man, but with a strong sense of youthful naiveté. Though never having met his future bride, the Lady Flidais, Oran is convinced that she is his perfect match. So when Flidais arrives in person, Oran is confused by Flidais' callous and crass behavior. 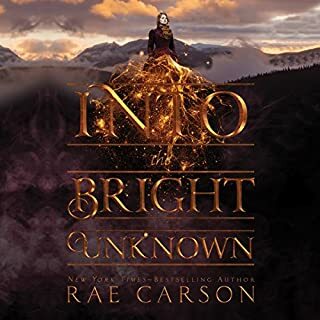 Having proven herself as a skilled healer to the villagers of Wintersfall, as well as a practical and pragmatic individual, Oran seeks out Blackthorn to help solve the mystery of Flidais' personality swap. This story is told through the perspectives of Blackthorn, Grim, and Oran. 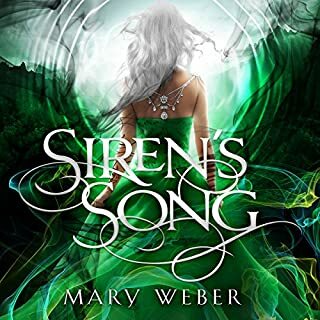 Marillier gives each character a unique voice that is extraordinarily real and powerful. The reader perceives the world and various events through a character’s eyes, at the same time watching him or her develop along with the story. We’re with Oran as he grows from a young, somewhat flighty boy into a thoughtful, decisive, and dedicated leader. We’re in Blackthorn’s head, witnessing and feeling her anger and impotence, blinded by her own personal biases and unaware of her flaws. And Grim is the solid, stalwart soul. Though plagued by his own demons, he’s an amazing and special man with an unfaltering sense of honor and a fierce loyalty. This is a tale of magic, but in a setting so real and vivid that anything seems possible. These elements gave the world more depth and kept it from feeling too simplistic, but they were were not in any way overbearing, nor did they distract from the story. Leah is poised to have everything she ever dreamed of on the long, dangerous journey to California's gold fields - wealth, love, the truest friends, and a home. Thanks to her magical ability to sense precious gold, Leah; her fiancé, Jefferson; and her friends have claimed rich land in California Territory. But their fortune makes them a target, and when a dangerous billionaire sets out to destroy them, Leah and her friends must fight back with all of their power and talents. I have loved this series way more than I thought I would. This trilogy has been a great listening experience! The characters were amazing as always, but it was the plot that kept me guessing. Basically Lee comes up with a plan to take down Hardwick, a man who's even more greedy than her uncle, that requires such secrecy that you don't know the whole plan until the end of the book. Everyone plays a part, and there's plenty of surprising twists. Lee and Jefferson are as cute as ever. I loved the historical detail in this series. I also loved that Leah was a smart, honorable person who wanted to help those less fortunate than herself. Although, her willful naivete was, at times, a little tough to take. Overall, this was a very satisfying conclusion to the Gold Seer Trilogy. After her harrowing journey west to California, Lee Westfall has finally found a new home - one rich in gold, thanks to her magical power, a power that seems to be changing every day. But this home is rich in other ways, too: with friends who are searching for a place to be themselves, just as she is, and with love. Jefferson - her longtime best friend - hasn't stopped trying to win her heart. And Lee is more and more tempted to say yes. 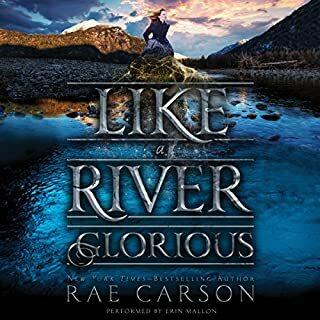 Like a River Glorious is a wonderful YA anomaly. Usually, the second book of a trilogy is much weaker than the first. But Rae Carson obviously took her time and thoroughly thought through this book. I picked up Walk on Earth a Stranger, not expecting to like it, but I was immediately enthralled, so I grabbed the next two books and proceeded to spend the next few days listening at every spare second. I thoroughly enjoyed the uniqueness of this captivating story and its characters. This sequel was great, and I'm thrilled to add it to my collection! Leah has been everything that a strong female lead should be, including those few character flaws that truly bring her to life. And with this sequel, she continues to grow, not just as a character, but in her abilities as well. Villains return and have a much larger role in this book. Hiram Westfall is truly the character that you just love to hate. With a passion. There are also introductions to some new characters that are just as vivid as the returning cast. This book had a bit of a quicker pace than the first with many exciting events and intrigues to move the story along. Also, romance was a stronger theme. The story is rife with racism, sexism, and prejudice on almost a monumental level. It was terrible and made my blood boil from the sheer injustice and cruelty. I can't understand how Lee could control herself and not try to beat her uncle into a pulp! But maybe that's just me. Overall, Like a River Glorious is a wonderful sequel to Walk on Earth a Stranger.